We know how powerful social media can be for branding. It’s one of the most effective ways to reach the masses and build awareness for your company. But there’s another side of social media that’s equally important–converting social media followers into leads or customers. Social media conversions are the ultimate sign of success for marketers. Building an audience of hundreds of thousands of followers is nice, but does your brand have the ability to get them to take action? This is one of the biggest challenges companies face on social media, particularly for marketers tasked with proving the ROI of a social media campaign. 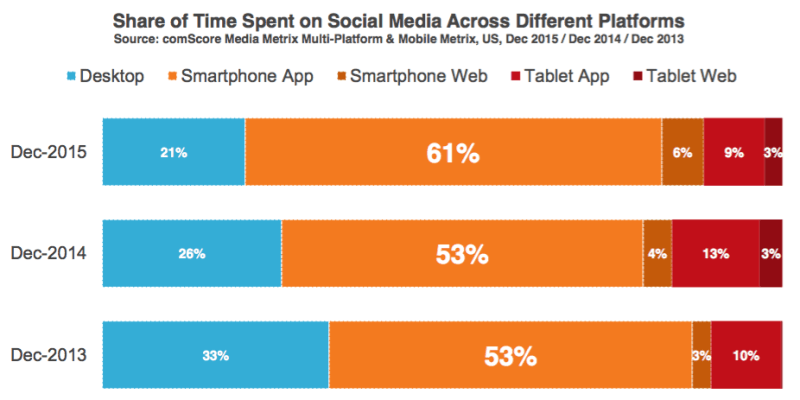 In a recent study from comScore, 80% of time spent on social media is through a mobile device. That means a majority of people you’re directing from social media to your landing page view it from a phone or tablet. The problem is a lot of landing pages are still made from the perspective of desktop viewers. Since the landing pages are responsive, the mobile view ends up being an afterthought. When you’re making landing pages to drive social media conversions, you need to think from a mobile-first perspective. That means keeping it more lightweight, sizing your images correctly and streamlining. It doesn’t need to be completely stripped down, but you need to prioritize the most important elements. Remember, people on social media aren’t necessarily in “buying mode.” They’re on Twitter, Instagram or Facebook to be entertained, catch up on what’s going on around the world and to pass time. If you direct them to a 1,500 word sales page or a 20 minute video, they’re likely to click away. Instead, make your landing pages brief. Also, think in terms of leads rather than sales. Social media users are at the top of your funnel, so the likelihood of converting them into a sale is much lower than getting their email address or having them sign up for a free trial. The less information you gather, the better your social media conversions will be. 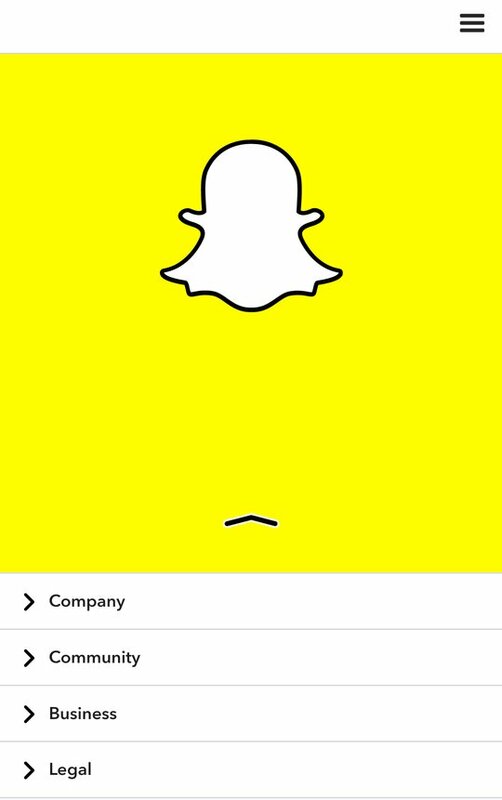 The perfect example of this is Snapchat. It’s a mobile-only app, and its website reflects that. When you visit the site on your phone, you’ll see a very minimalistic landing page that has the sole purpose of getting you to download the app. Tapping on the ghost directs you to the app store to download the app. Before worrying about getting people to convert on your landing page, you need to actually get them to the page. That means optimizing your social media posts. Whether it’s your Tweets, Instagram pictures or Facebook posts, you need to make sure they’re compelling people to click through. One of the best ways to do this is through split testing. Create variations of the same Tweets or try Instagram posts with different captions or images. That’ll help you determine what works best for your audience. The last thing you want is to give up on a campaign too early because you think it doesn’t work, but the issue is just the text in your Tweet. 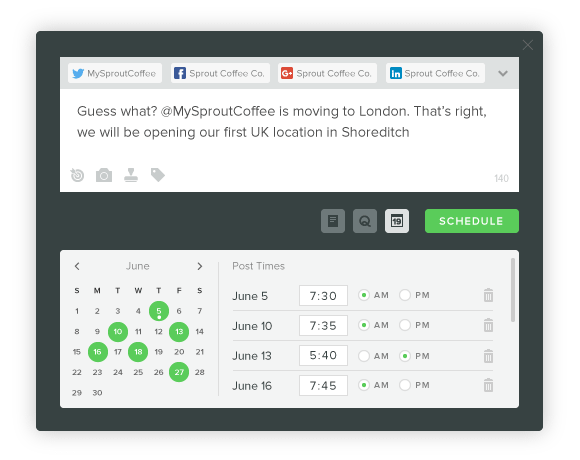 You can use Sprout Social to quickly schedule multiple versions of your social media posts and compare each version against each other. Along with testing your social media content, also test different days and times. There are so many factors that play a role in how well a social media post will convert that it’s worth testing as much as possible. Have you ever heard of account-based marketing? It’s basically a fancier way of saying personalization. According to Insightera, account-based marketing can result in four times more traffic. The challenge is figuring out a way to provide a personalized experience for people visiting your landing page from social media. We’re not at the point quite yet where you can pull in a person’s name or username from Twitter and Facebook into your landing page. But a simple tactic you can use is to make your landing pages specific to the social network your traffic is coming from. For instance, if you’re directing people to your landing page from Twitter, you could personalize it by using a light color scheme similar to Twitter’s or creatively integrate Tweets. Making the transition from the social network to your landing page as smooth as possible will improve your chances of converting users. Getting more eyes on your social media posts, and subsequently your landing page, will give your more chances to convert. If you’re not using promoted Tweets or Facebook Ads, it can be difficult to get the organic reach you need to drive social media traffic to your landing page. But you can easily amplify your reach by asking people to share your post or landing page with their followers. It’s as simple as adding “tag a friend” to the end of your Tweets or putting social sharing buttons on your landing page. As more people start to share your posts, it’ll create a snowball effect. Other people will share it and add more traffic. Start including a call to action to encourage people to share your social media posts. Images are a huge piece of social media marketing. 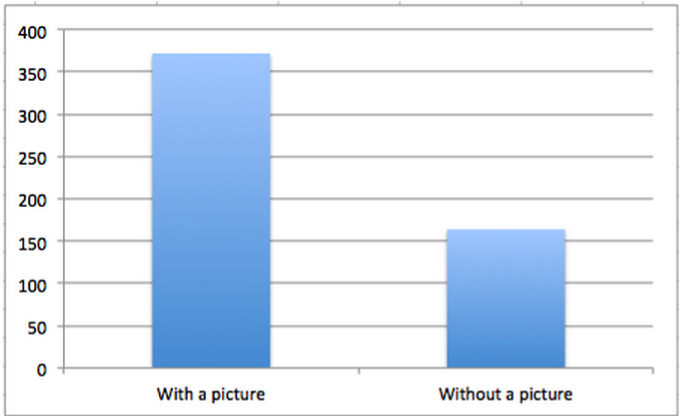 In fact, Facebook posts with images get 2.3X more engagement than those without them. That’s likely why 71% of digital marketers use visuals in their social media marketing. Remember, your copy is only part of the equation when it comes to getting people to click your Tweets or Facebook posts. Without an attention grabbing image, there’s a chance people are scrolling right pass your social media content. Thousands of Tweets are sent every second, and over 95 million Instagram posts are uploaded every day. Your content is competing with all of that content for the attention of social media users. Your images can help you stand out. Use faces for Instagram: According to a study conducted by Georgia Institute of Technology, Instagram posts with faces get 38% more Likes than those without them. 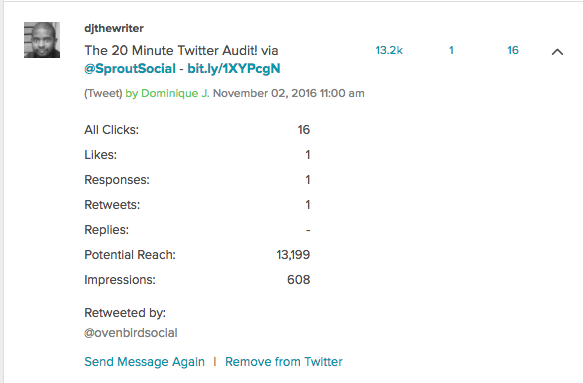 Use large summary cards for Twitter: BuzzSumo found that Tweets with large summary Twitter cards receive 3 times more interactions. Here’s an example of what the large summary Twitter cards look like. Create network-specific images: You can consider creating images specifically for driving social media conversions, rather than just using the image Twitter or Facebook pulls from your website. This is a good idea for companies that tend to use stock images as their featured images. Creating custom graphics with vibrant colors or even a call to action can be much more engaging. Don’t use too much text: Your visuals shouldn’t be overrun with text. That’s part of the reason Facebook implemented it’s 20% text rule for ads. Save the text for your headlines or Instagram captions. Of these two Tweets, which are you most likely to click? Probably the one with all the shares and Likes, right? As humans, we’re conditioned to make decisions based on what other people think. That’s why we look at reviews before making purchases and ask for opinions before making decisions. We care what other people think. Social proof is when people make decisions based on how popular something is on social media. For instance, an article with thousands of social media shares is seen as more credible and trustworthy since so many people have shared it. After seeing all those shares, you might be tempted to follow suite and share it too. Try to get as many shares on your social media content as possible. Then you can pin it to the top of your feed, or even put paid promotion toward it once it builds up a good amount of social shares. The extra shares will add more credibility to it and make it look even more popular. We’ve given you a lot of tips and tactics to improve your social media conversions, but if you’re not actually tracking your conversion rate you won’t know what’s working. Click conversions: The percentage of people clicking through from you social media post to your landing page. Landing page conversions: The percentage of people that land on your page and convert. Then you’d just divide your clicks by the number of impressions to calculate your conversion rate. For landing page conversions, you’ll need to have tracking built-in through Google Analytics, Sales Force or another tool. You’d have to divide your number of conversions by the number of unique page views. What counts as a conversion will differ depending on your goals. It could be an email sign up, free trial or however else you define it. It just needs to be something definitive that can be tracked. Whether you have a high social media conversion rate or struggle just to get one person to click through to your landing page, there’s always room for improvement. Give the tips above a try and see how high you can that conversion rate up. What tips and tricks have you tried to boost your social media conversions?